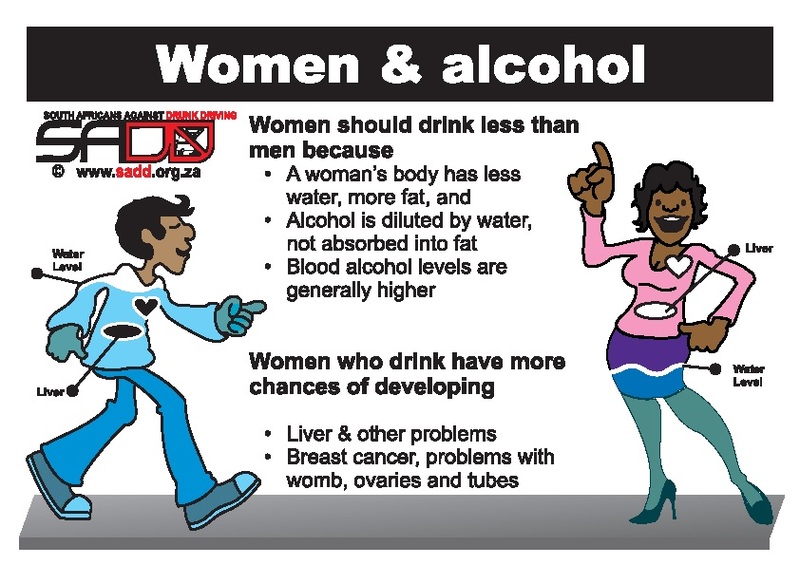 Water dilutes alcohol and women generally have less water than men. Men have 61%, while women have 52% of water in their bodies. There are two enzymes that break down alcohol in the liver and the stomach, which are: alcohol dehydrogenase and aldehyde dehydrogenase. Women have low levels of noth in their bodies. Due to the fact that women have higher oestrogen levels in their bodies, this causes intoxication to set in faster than in men. This is why women should drink less than men, for the sake of their bodies and how it will impair their driving.